The purpose of the EMS is to control the timing and efficiency (quantity) of fuel, air temperature, ignition timing, economy, the emissions and much more. Nowadays these computers also store error codes created by any abnormalities. This is all done by analysing and interpreting the data sent to it through various sensors, such as the mass airflow sensor, throttle position sensor, air temperature sensor, oxygen sensor etc. 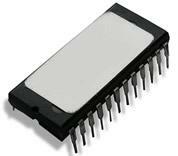 Data corresponding to your car is held on a PROM (Programmable Read Only Memory), also known as a chip. The data is held on there in such a way that it looks like a map, hence the word remap, which I will explain further on. Car manufacturers map these PROMs with big margins of error, which is done to allow for varying temperatures and minor faults so that the cars don’t breakdown or suffer premature parts failure every five minutes. They are also mapped to allow for better fuel economy and allow for inferior fuel quality. Sometimes this less than optimal programming will mean some cars with the same engine will have varying amounts of power. But modifying the ECU can yield more power from your engine. Standard cars may gain some power from a remap, but you would be better off with carrying out your other modifications first (performance air filter and sports exhaust). Turbo diesels do very well with a remap and it is becoming very popular to have a remap carried out on them. Cars that have had modifications will benefit from a remap to optimise those changes made. turbocharged and supercharged cars can also benefit from this. A remap will (should) make your engine produce more power (Bhp and torque) and improve driveability, it’s also possible to gain a few more miles per gallon, (although this is down to how you drive your newly remapped/chipped car!). Note: some cars will lose on the economy side regardless how you drive it. After all you are increasing the performance of your car. This extra power isn’t all free though, a remap is going to optimise the performance of your engine, by doing so, all the margins for errors/faults go out the window and this will place more stress on the engine and its components (especially components like the Mass Airflow Sensor). You will more than likely need to service the car more often and you ‘will’ (should) need to use higher grade fuels. A big advantage for turbo diesels is that they can be remapped and still use plain old diesel and get improved economy at the same time. The performance chip was the original way for modifying your ECU. Basically you physically remove the chip from the ECU and replace it with a modified chip (remember the old superchips). In the old days, this had to be done by de-soldering the old chip then soldering the new one in, however some manufacturers had clip-in type chips. Still popular today, there are many tuners/suppliers of this type of modification. These chips simply replace your current chip with much stricter parameters and therefore aren’t the best option for optimising any upgrades you have made on your car. Also you will invalidate any warranty you may have by opening your ECU. Also known as a ‘Piggyback ECU’. Essentially these tuning boxes intercept the signal between the ECU and engine and alter the signal to increase mainly the fuelling. However as they are cheating/guessing what changes to make to the system, there are occasions when over fuelling takes place and other problems that may cause damage your engine and its components. 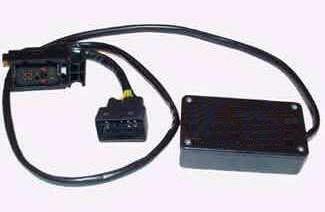 However some cars have difficult/non reprogrammable ECU’s, therefore their only option is to use a tuning box. Also known as ‘flash tuning’. As technology advanced, it became possible to just reprogram the ECU’s chip through the main engine diagnostic socket. This happens by copying the original mapped file from the ECU, then altering (remapping) the required parameters and copying it back into the ECU and overwriting the original. Good tuners will alter several mapping tables in combination, others may not, again beware and ask questions about what changes are being made to your engine management system. Of course this upgrade is also pretty much invisible, you can’t see it and most garage services wouldn’t even know there had been any changes, unless they looked for it. Although there is a possibility that your warranty may be void, you would have to check with the installer and your garage. Non turbo cars can realise up to 10% more power and better throttle response. Turbocharged cars can realise up to 25% more power, increases in torque being most noticeable. Most of the power increase comes from a change in the boost amount on a turbo car. Turbo Diesels may even realise more than a 25% power increase. Some companies now offer remaps with switchable program modes, this is a nice feature. These allow you to switch from the standard/economy parameters to the remapped performance parameters. In my opinion, these can be great for people who just want the occasional blast, but want to retain the more reliable safer parameters for their daily driver. Note: Remapping the ECU overwrites the original parameters, therefore if you haven’t got a switchable program, the only way to get it back to the original parameters is to have it rewritten back again. Disconnecting the battery or resetting the ECU will not return it to it’s original state. Although the most expensive option to go for, a remap is the best option. For overall optimisation and control of what happens to your engine, this must be the best choice. Combining a remap with a rolling road, also allows for more specific optimizing. One warning to point out though, is make sure if you take your car in for some work at your dealers, don’t let them rewrite the original mapping parameters to your cars engine management system (unless that’s what you want them to do), as you will obviously lose your remapped parameters. Final Word – Be sure to ask the installer questions and remember, these changes are reversible, although any damage isn’t. There are many DIY options, but be aware of cheaply made and badly programmed chips and tuning boxes available from unknown sources. Also check any warranties you have and remember modifications to your car may affect your insurance.